Dr Caroline Longmore started her career as a paediatrician in Paris. After working for the humanitarian medical aid organization, Medecin Sans Frontieres, she worked in hospitals and private practice. Her passionate interest in complementary medicine and naturopathy led to extensive studies in Nutritional as well as Traditional Chinese Medicine and Acupuncture, including time spent in China. She specializes in nutrition, food intolerance, fertility, mental health, weight management, anti ageing and cancer treatments, utilizing Acupuncture, Naturopathy and Herbalism. As well as regular contributions to health and home publications, Caroline recently published her first ebook “The Serotonin secret”. A comprehensive guide to understanding the importance and mechanisms of serotonin, including recipes designed to help increase your levels. 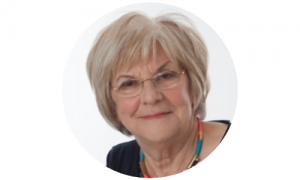 Caroline has been devotedly treating people holistically for over 10 years. Caroline gives appointments every Thursday mornings 9 am to 1 pm and Saturdays.